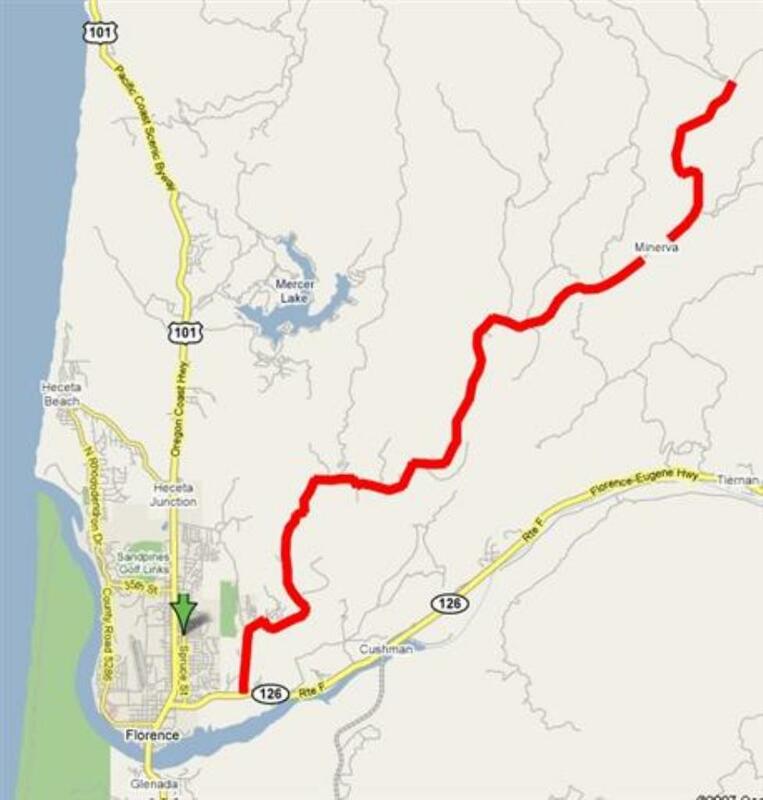 From Florence go 1 mile east on Hwy 126, after the Casino turn left on North Fork Road and keep going. After about 25 miles and a rather steep hill in the end you will be at the Big Creek Junction. This is as far as we recommend to go. Turn around and head back to Florence. 50 miles round trip. All paved and most of it is a 2 lane road. There's not much traffic and it is usually warmer then in Florence.